Patta x Deviation x Converse capsule collection. Patta, Converse and Deviation are proud to present the Converse x Patta x Deviation capsule collection. 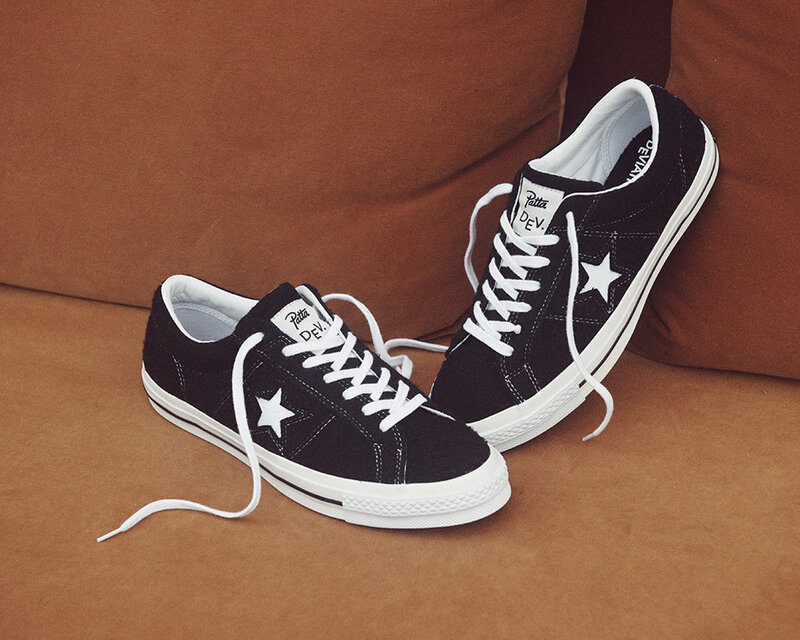 Teaming up with established shoe brand Converse and Deviation, the London-based label and club night helmed by Benji B to celebrate the overlapping appeal street style and high street fits. With a keen expertise in music and style between them, Edson Sabajo, Guillaume Schmidt and Benji B created a Converse collection that’s a proper mashup of high and low: handmade Italian Casentino wool wrap classic skate sneakers, and the sporty coaches jacket is redone as a classic trench. The collection consists of a One Star CC Arancino, One Star in Black and a Chuck ’70 Oxford. All models are crafted with durable Casentino wool and lined in premium leather, Patta and Deviation logo’s on the sockliner, tongue & outsole, contrast cotton laces and a specials premium packaging. The Converse x Patta x Deviation One star and Chuck ’70 Oxford is now available at Patta.